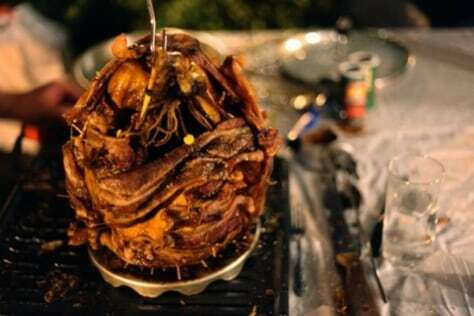 Submitted by Andrew Alonso / This is a bacon-wrapped, deep-fried turkey. With 16 oz of Creole butter and a cajun dry rub, some warned we were laughing in the face of God. Perhaps that was true, but it even He would agree it was nothing short of amazing. This is a bacon-wrapped, deep-fried turkey. With 16 oz of Creole butter and a cajun dry rub, some warned we were laughing in the face of God. Perhaps that was true, but it even He would agree it was nothing short of amazing. 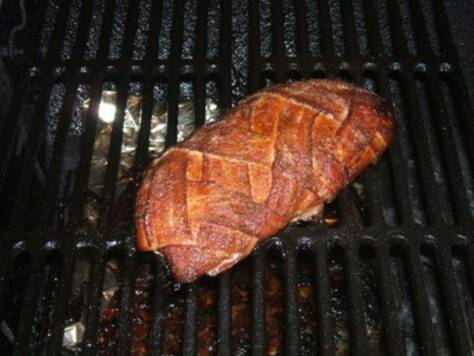 Submitted by Dave Clark / Grilled Smoked Bacon wrapped Turkey breast......one offsets the other ! ! ! ! Grilled Smoked Bacon wrapped Turkey breast......one offsets the other ! ! ! ! Submitted by Jason Day / I am the creator of Bacon Explosion. It's bacon wrapped, bacon stuffed, smoked sausage. Check out my website for the full recipe. I am the creator of Bacon Explosion. It's bacon wrapped, bacon stuffed, smoked sausage. 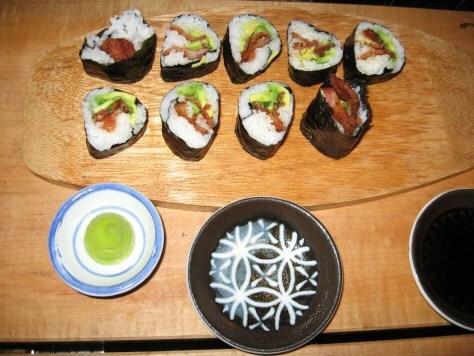 Submitted by Danielle Dimovski / Bacon and Eggs Diva Q Style. 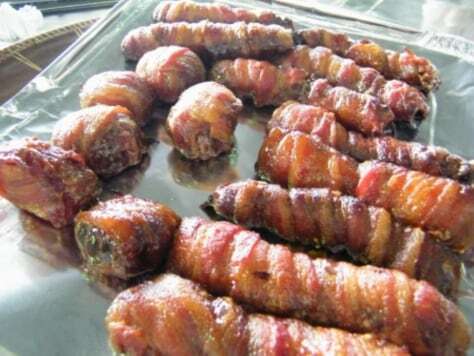 Cadbury cream eggs wrapped in bacon and BBQ'ed until nice and crispy on the outside and chocolate goodness in the center! Bacon and Eggs Diva Q Style. 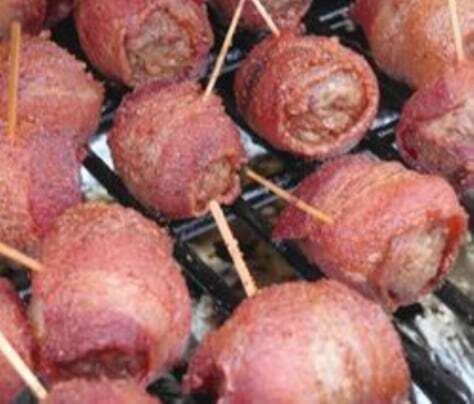 Cadbury cream eggs wrapped in bacon and BBQ'ed until nice and crispy on the outside and chocolate goodness in the center! Submitted by Anonymous / THE Bacon Explosion - My friend brought this to a tailgating party last year. It was amazing! Crumbled sausage is fried up with crumbled bacon and mixed wtih barbeque sauce. 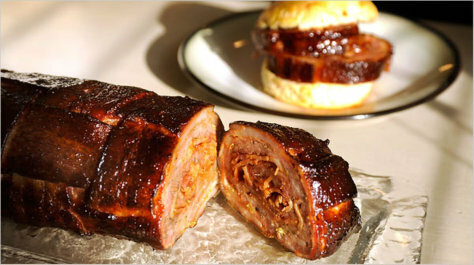 Then you wrap it in more bacon, sandwich it in aluminum foil, coat it with barbeque sauce and grill it for an hour. Absolutely awesome! THE Bacon Explosion - My friend brought this to a tailgating party last year. It was amazing! Crumbled sausage is fried up with crumbled bacon and mixed wtih barbeque sauce. Then you wrap it in more bacon, sandwich it in aluminum foil, coat it with barbeque sauce and grill it for an hour. Absolutely awesome! 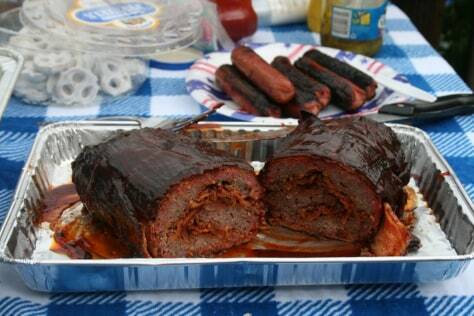 Submitted by Anson Kennedy / Here's a finished Bacon Explosion we made at last year's Almost 4th of July Cook Out. 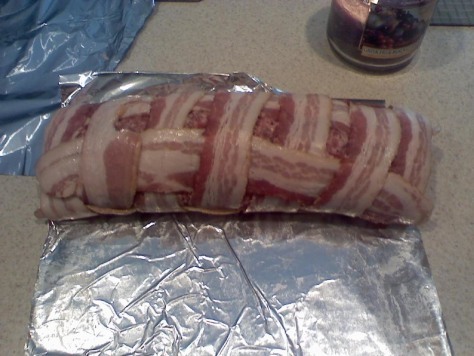 Here's a finished Bacon Explosion we made at last year's Almost 4th of July Cook Out.